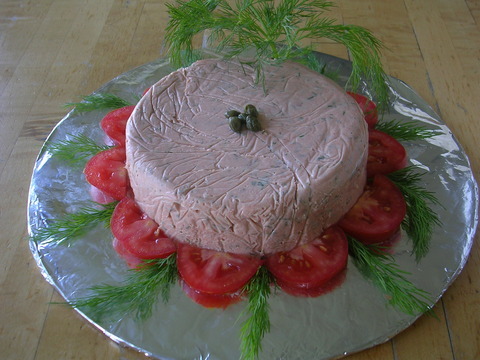 Smoked Salmon Mousse with shallots and dill. Light and refreshing. Various ways to mold it and serve it will be presented. Mustard Crusted Pork Tenderloin. We will go over the roasting technique to get a moist and tender roast. Side dishes will be discussed. Class includes recipes, samples and a great time. Brigitte Romero, personal chef in Ann Arbor Hopefully we'll enjoy the samples on the patio! Elegantly the dishes for the summer season need to cold one and this dish is really having the healthy dish with the refreshing. Pay for the summer dishes and for the pay someone to write the best essay for me is common in the summers. Brigitte, this was a terrific afternoon. We all learned so much and came back home eager to reproduce this delicious meal. I always feel that you also give us many tips to ensure our success. That is what teaching is about, isn't it. Thank you for welcoming us into your home and allowing us to "occupy" your space for a typical French experience. Can't wait for the next class! Zut, je serai encore en France. Mais, pourquoi je vais en France, puisque j'ai la cuisine française à Ann Arbor grâce à Chef Brigitte?